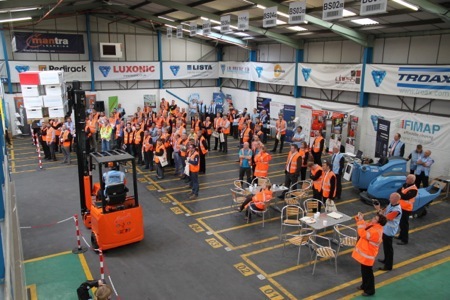 Over 100 delegates attended the Warehouse Technology Group’s (WTG) recent ‘Planning for Efficiency’ open day. Held at WTG’s Logistics Research and Innovation Centre (LRIC) in Manchester, the day provided the chance to see and assess a broad range of warehousing and supply chain-related products and services in a ‘real world environment’. 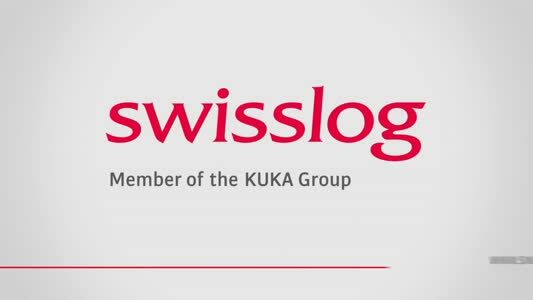 Visitors saw a "train set” presentation featuring a unit load that was tracked from arrival throughout the whole warehousing process with its progress relayed live to a large screen via wireless video technology with a commentary by experienced BBC broadcaster, Martin Henfield. Guest partners, Transift Bendi, demonstrated the benefits of their flexible articulated forklift trucks throughout the day and invited guests to try them out. In addition, Unipart Logistics’ Anand Lakhani delivered a keynote presentation entitled ‘Supply Chain Collaboration: Integration In and Out of the Warehouse’. Established to provide an unbiased insight into the latest technology available to companies operating warehouses and distribution centres, WTG is a collaboration of around 20 companies involved in the manufacture and supply of specialist equipment to the warehousing and logistics industry. The Logistics Research and Innovation Centre (LRIC )– where the ‘Planning for Efficiency’ event took place - is a 12,000 square feet unit fitted out by WTG partners. RediGroup presented examples from its range of turnkey and stand-alone handling and storage solutions – including the award winning automated pallet storage and retrieval system, RediLogX, offered by RediGroup’s RediTechniX division. The next WTG open day event is planned for November but visitors can view the facility at any time by contacting WTG at www.wtglive.co.uk or any of the partners.